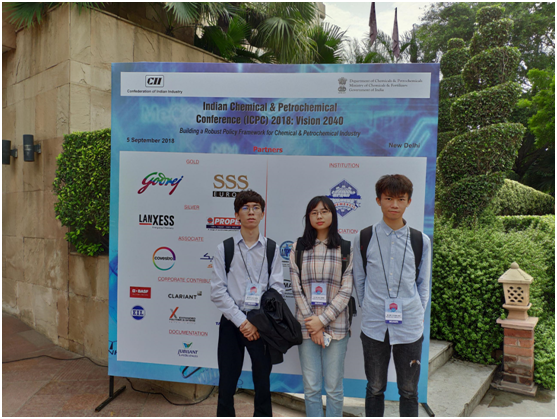 OKCHEM Indian team participated in the India Chemical & Petrochemical Conference (ICPC) 2018 on Sep.5 . It was a grand event about the policy trend and world situation about the chemical and petrochemical industry, and the forecast about the Indian chemical industry in the next 20 years. And in this conference, we discussed and exchanged information on the Indian chemical industry with participants and established friendly contacts with some local chemical companies. 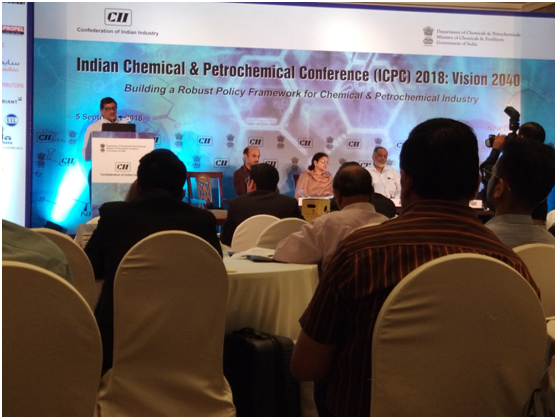 Many professionals from the well-known companies in the Indian chemical industry participated in the conference. In the ICPC 2018, Dr Raman Ramachandran, Chairman, CII National Committee on Chemicals & Petrochemicals and CMD, BASF India has given a speech about National Chemical Policy. During the free discussion time, OKCHEM Indian team met Sheshachala, deputy general manager of Indian state-owned Hindustan Petroleum Corporation Ltd and exchanged ideas on the chemical industry that they are interested in. We also talked to some other giants in the industry, such as the Sabic India, P&G India and several other chemical companies, and had exchanged our contacts hoping to have further discussion and cooperation in the chemical industry in India after the conference. OKCHEM has gained a lot of valuable information about the chemical industry in the ICPC 2018, and will continue making efforts to explore the chemical market in India in order to bring more business opportunities to the OKCHEM buyers and suppliers in both China and India.